Congratulations are extended to Dr. Peter B. MacDonald who was named the COA's 2nd President Elect during the Association's Business Meeting held on June 19 in Montréal. 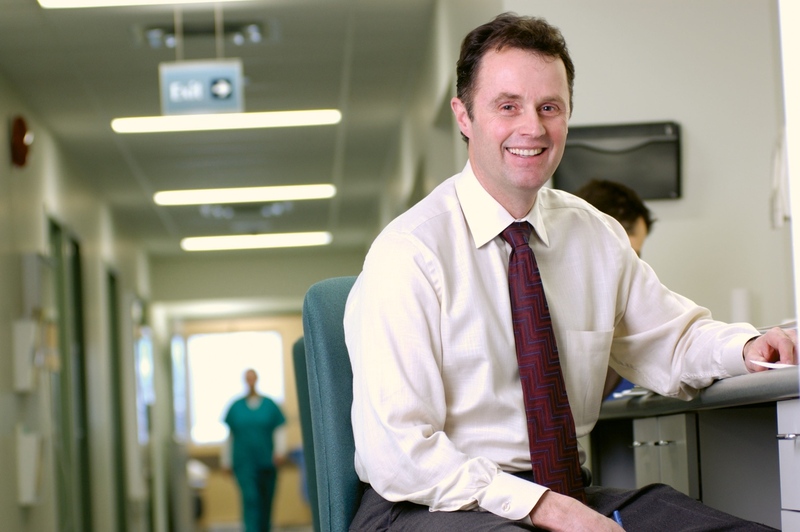 Dr. MacDonald is Professor and Head, Section of Orthopaedic Surgery at the University of Manitoba and regional Orthopaedic leader for the Winnipeg Regional Health Authority. He is also Medical Director, Department of Surgery and Chief Research and Innovation Officer of the Pan Am Clinic. His clinical practice focuses on the shoulder, knee, sports injuries and arthroscopy and he is a Team Physician for both the Winnipeg Jets and Winnipeg Blue Bombers. Dr. MacDonald was a North American Travelling Fellow in 1992 and has been a member of various COA committees throughout his career, including the Executive Committee. He serves as Associate Editor of the Journal of Shoulder and Elbow Surgery. He and his wife of 30 years, Sherry, live in Winnipeg. Two of their three children (Carling and Lindsey) continue medical school and residency training (New York and Winnipeg). Their third child (Duncan) is enrolled in business school at the University of Manitoba. Dr. MacDonald will assume the role of COA President during the 2016 Annual Meeting in Halifax. Please join us in congratulating Dr. MacDonald on this tremendous achievement. Toutes nos félicitations au Dr Peter B. MacDonald, qui a été nommé deuxième président élu de l'ACO à la Séance de travail tenue le 19 juin, à Montréal. Le Dr MacDonald est professeur et chef de la section de chirurgie orthopédique à l'Université du Manitoba, de même que chef de l'orthopédie à l'Office régional de la santé de Winnipeg. Il est également directeur médical du service de chirurgie et conseiller en chef de la recherche et de l'innovation à la Pan Am Clinic. Son exercice clinique est axé sur l'épaule, le genou, les blessures sportives et l'arthroscopie. Enfin, il fait partie de l'équipe médicale des Jets et des Blue Bombers de Winnipeg. Le Dr MacDonald a reçu la Bourse de voyage nord-américaine (VNA) en 1992 et siégé au sein de différents comités de l'ACO au cours de sa carrière, dont le comité de direction. Il est actuellement corédacteur du Journal of Shoulder and Elbow Surgery. Son épouse depuis 30 ans, Sherry, et lui vivent à Winnipeg. Deux de leurs trois enfants, Carling et Lindsey, poursuivent actuellement leur formation médicale et leur résidence à New York et à Winnipeg. Le troisième, Duncan, est inscrit à l'école de commerce de l'Université du Manitoba. Le Dr MacDonald assumera la présidence de l'ACO à compter de la Réunion annuelle 2016, à Halifax. Veuillez vous joindre à nous pour féliciter le Dr MacDonald pour cet accomplissement exceptionnel. Congratulations are extended to Dr. Michael Zywiel from the University of Toronto for winning the J.A. Nutter Award, Sponsored by Smith & Nephew, for the top paper presented during the recent Canadian Orthopaedic Residents' Association (CORA) Annual Meeting in Montréal. Dr. Zywiel's prize-winning paper entitled, The Health Economic Implications of Perioperative Delirium in Older Orthopaedic Surgery Patients with Low-Energy Hip Fractures, will be presented at next year's COA Annual Meeting in Vancouver. Congratulations to Drs. Troy D. Bornes (University of Alberta) and Sam Si-Hyeong Park (University of Toronto) for winning the 2nd and 3rd place awards respectively. All three abstracts will be published in the Fall edition of the COA Bulletin. Félicitations au Dr Michael Zywiel, de l'Université de Toronto, qui a remporté le Prix J.A.-Nutter, commandité par Smith & Nephew, à Montréal. Ce prix récompense le meilleur précis présenté dans le cadre de la Réunion annuelle de l'Association canadienne des résidents en orthopédie (ACRO). Le précis primé du Dr Zywiel, intitulé « The Health Economic Implications of Perioperative Delirium in Older Orthopaedic Surgery Patients with Low-Energy Hip Fractures », sera présenté à la Réunion annuelle 2015 de l'ACO, à Vancouver. Nous souhaitons aussi féliciter les Drs Troy D. Bornes (Université de l'Alberta) et Sam Si-Hyeong Park (Université de Toronto), qui sont arrivés respectivement aux deuxième et troisième rangs. Ces trois précis seront publiés dans le numéro automnal du Bulletin de l'ACO. Dr. Cy Frank (Past President 2010) was named Member of the Order of Canada for his contributions to advancing orthopaedic health care services in Alberta, and for his scientific contributions to bone and joint repair research. Dr. Richard L. Cruess (Past President 1978) has been promoted to Companion of the Order of Canada for his numerous contributions as a world leader and pioneer in the field of medical professionalism in Canada and abroad. The COA congratulates both Drs. Frank and Cruess for this national acknowledgment. Le Dr Cy Frank (président de l'ACO en 2010) a été fait membre de l'Ordre du Canada en reconnaissance de sa contribution à l'avancement des soins orthopédiques en Alberta et au domaine de la recherche sur la réparation osseuse et la reconstruction articulaire. Le Dr Richard L. Cruess (président de l'ACO en 1978) a quant à lui été promu Compagnon de l'Ordre du Canada pour souligner son importante contribution à titre de leader mondial et précurseur dans le domaine du professionnalisme médical au Canada et à l'étranger. L'ACO félicite les Drs Frank et Cruess pour cette reconnaissance nationale. The Zimmer® Segmental System with Trabecular Metal™ Technology enables the restoration of bone & soft tissue function for patients with significant bone loss resulting from oncology, trauma, and/or the salvage of previously failed arthroplasty. Trabecular Metal Material, Zimmer's proprietary platform technology, has been utilized in more than 800,000 surgeries worldwide and has 250+ published peer-reviewed clinical papers, posters and abstracts. Registration is now OPEN for the 2014 National Capital Knee Symposium being held Sept. 18-19, 2014. The two-day event will be held at the Westin Ottawa and University of Ottawa Skills and Simulation Centre. View the course program and register today! Doctors who refuse to provide certain treatments on religious or moral grounds must tread delicately or risk trampling human-rights laws, according to the chief commissioner of the Ontario Human Rights Commission, which is expected to weigh in soon on a review of professional guidelines for physicians practicing in Canada's largest province. Comprehensive and fully modular system enables multiple combinations of components to meet the specific needs of each individual patient. Use of modular solutions for humeral and glenoid implants allows conversion from anatomical to reverse shoulder replacement prosthesis when patient’s condition demands it! Distributed by Ostek Orthopaedics Inc.
Loudspeaker announcements signalling the end of visiting hours are now a thing of the past at St. Paul's Hospital and all other Providence Health Care facilities, which are now welcoming visitors 24-7. Providence's 16 acute, rehab and long-term care facilities are believed to be the first in B.C. to drop visiting-hour restrictions. Other hospitals and health regions are considering doing likewise. For restoring function and reducing pain, total hip replacement surgery is one of the most successful, cost-effective and safest options available — yet surgery-related complications do occur. A new study published recently in the journal BMJ has found that patients whose surgeons perform more than 35 total hip replacements (THR) per year — roughly three or more per month — have fewer complications compared to patients whose surgeons don't meet that threshold. La performance du Canada n'est pas très bonne lorsqu'on compare son système de santé à celui d'autres pays développés. Une récente étude révèle que le Canada arrive avant-dernier parmi les 11 pays étudiés, loin derrière le Royaume-Uni, la Suisse et la Suède. Seuls les États-Unis obtiennent de moins bons résultats. The Saskatoon Health Region may move hospitals to a seven-day work week to help reduce wait times. The National Health Service in the U.K. has been testing the idea for six months, and SHR is watching closely. Under a seven-day system, it wouldn't matter when a patient was admitted, and the workload would be spread more evenly through the week, said Sandra Blevins, vice president of integrated health services. Health Minister Rona Ambrose announced the creation of a panel to consider national and international health care innovations to improve the quality and cost-effectiveness of patient care in Canada. The Advisory Panel on Healthcare Innovation will consult with provincial and territorial representatives and make recommendations to the federal government about which ideas to support. After three weeks of work at the new Royal Alexandra Hospital, Elnora Hibbert crossed the street and never looked back. In late 1963, Hibbert joined the nursing staff at a new rehabilitation facility housed in the old hospital across 111th Avenue. A little over a month later, the Glenrose Rehabilitation Hospital opened its doors on Jan. 6, 1964 to its first 13 children.